I recently discovered an absolutely fabulous hair care company that only uses beneficial plant-based ingredients in their products! Neuma was kind enough to send me a box of product for review; I received the Renew Shampoo and Conditioner, Volumize Shampoo and Conditioner, Moisture Conditioner, and Argan Oil Treatment. I was blown away by the wonderful results from each item! I tried the Renew line first, and this is probably my favorite. It provides enough moisture to hydrate and tame my frizzy dry hair, but provides other benefits as well, such as strengthening and removing any product build-up from your hair. And it smells wonderful! A very strong, fragrant mint smell that permeates your hair, and lingers for hours! I would almost use this just for the smell! The Volumizing Shampoo and Conditioner are probably the only volumizing products I have ever used that still moisturize enough for everyday use. Usually if I am using a volumizing line, I need to mix in a moisturizing product every few days. I have been using this for a few weeks straight though, and my hair is still soft, smooth and easy to manage! The Moisture Conditioner is a very rich formula that is the ultimate hydrating experience for your hair! I only need a small amount, massage in, and leave it for 1 minute before rinsing to smooth, tangle-free hair. The Argan Oil Treatment is a unique formula that help reduce frizz, detangle, and adds a nice shine. I like to use this prior to blow-drying for extra manageability afterwards. When I use the Argan Oil, I don't have any trouble bringing order to my hair, and styling however I want! "NEUMA uses only renewable, beneficial plant-based ingredients - leaving you, and your hair, looking and feeling more beautiful. Our collection of professional performance beauty products contain ingredients which above all, do no harm - because like you, we care for earth and hair. FREE OF synthetic fragrance, sulfates, parabens, 1,4-dioxane, phthalates, glutens, neurotoxins, aluminum compounds, glycols, formaldehyde donors, ureas, carcinogens, environmental pollutants - a truly sustainable brand." One of my readers will receive a full-size Moisture Shampoo and Condition, and Argan Oil Treatment!! Go to Neuma Beauty and tell me another product you would like to try! 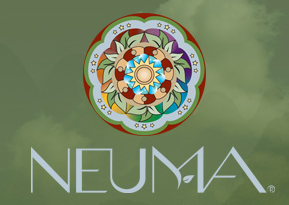 2 entries-"Like" Neuma Beauty on Facebook and tell them you entered the giveaway on Hope's Cafe! 1 entry-Follow Neuma on Twitter! This giveaway ends Thursday, August 11, 2011, at 11:59 p.m. Please leave a valid email address in each comment, as this is how the winner will be notified. Winner will have 48 hours to respond, or another winner will be chosen. Giveaway open to US residents only. Disclaimer: I was not monetarily compensated in any way for this post. All thoughts and opinions are mine. All quotes taken from the Neuma Beauty website. I would like to try the blow dry lotion. Would also like to try the Styling Mousse. 1 entry-Followed( Pilgrim86) on Twitter @LatinaR. 2 entries-"Liked" Neuma Beauty on Facebook and said I entered the giveaway @ Hope's Cafe! Yours is the first review to mention specifics like "tangle-free" and that is exactly the information I was trying to find. Thank you! !